The powerful Godolphin stable has produced its fifth juvenile winner this season with Pin Sec successful on debut at Randwick. She was a $12 chance in Wednesday’s 1100m-maiden for two-year-olds and it looked as if punters had the market right until the final few strides when Adam Hyeronimus produced her late. She charged to the line to beat the Lindsay Park-trained Hafawaa ($5.50) by a short half head with Olympic ($4.20 fav) another three-quarters of a length away. 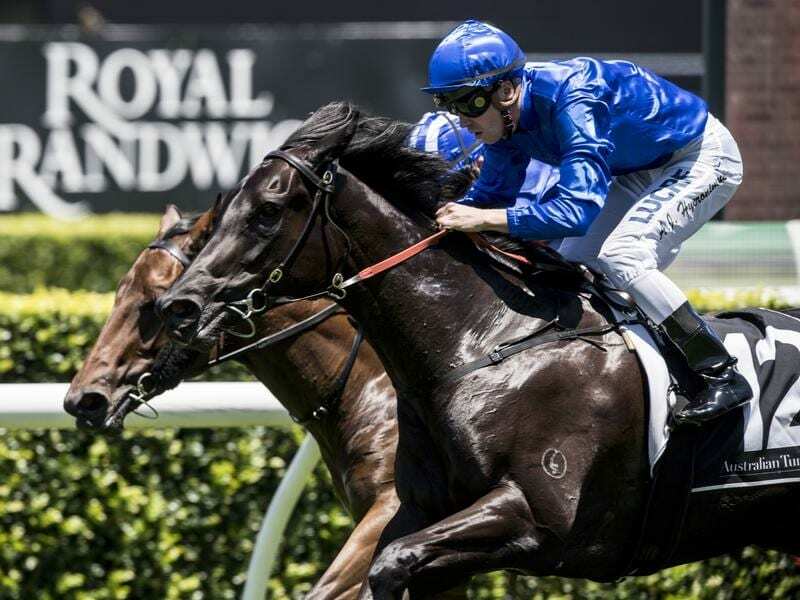 Among Godolphin’s other recent two-year-old winners are Tassort, the Golden Slipper favourite and Athiri who is among the most favoured runners behind him in early markets. Pin Sec is by champion Lonhro out of Listed winner Moderate and Hyeronimus said she travelled sweetly despite him taking her back in the field early. “She jumped well and probably could have been closer but I brought her back to get her into a rhythm,” Hyeronimus said. “The topweight (Bacchus) bumped me a little but she’s a little sweetheart and nothing bothers her. Godolphin representative Darren Beadman said she was a filly with a lot of improvement to come. “It was very pleasing. She overcame difficulties a couple of times,” he said. “She’s a lovely, scopey filly.